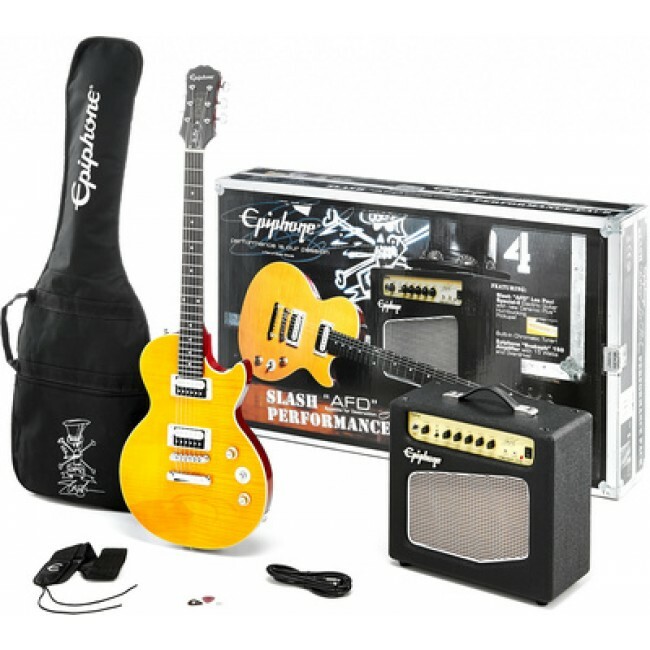 And of course like all Epiphone instruments regardless of price, the Slash “AFD” Performance Pack comes with a Limited Lifetime Warranty and Gibson’s famous 24/7/365 customer service. 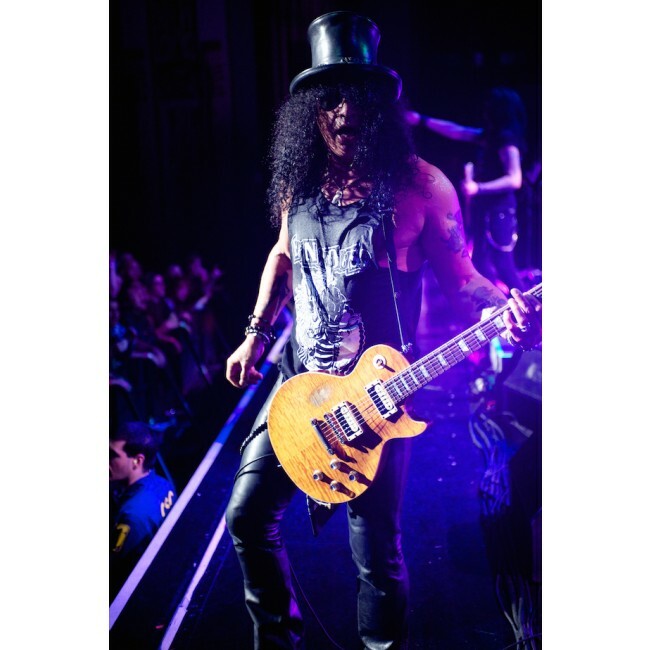 You can’t get more rock and roll than Slash and now the man himself has made it possible to fulfill your own Appetite for Destruction wherever you are. 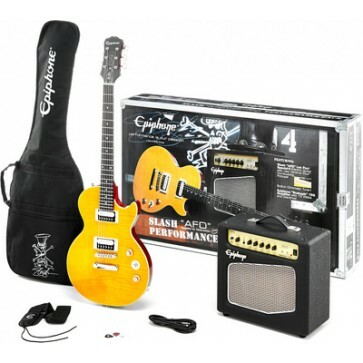 Visit your Authorized Epiphone Dealer today and take home a bit of rock history with the Slash “AFD” Performance Pack. Slash himself helped design the Slash “AFD” Les Paul Special-II with an Appetite Amber finish, inspired by Slash’s own custom Les Paul. The AAA flame Maple Veneer top has single layer Ivory binding and the back, sides, and neck are finished in beautiful darl Cherry just like Slash’s original. 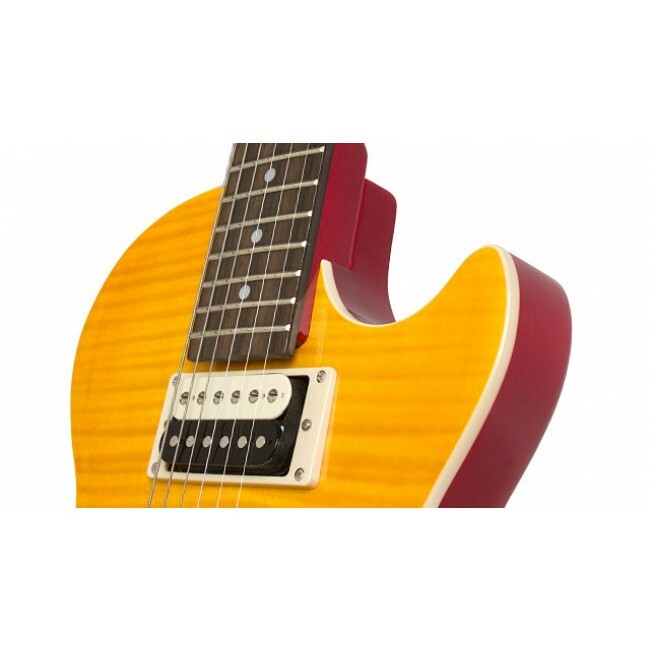 Both the body and neck are made from Mahogany, like all classic Les Pauls. The bolt-on neck has a Rosewood fingerboard with dot acrylic inlays and the headstock features Slash’s “Snakepit” logo in gold silk print along with the iconic Epiphone signature logo in silver. 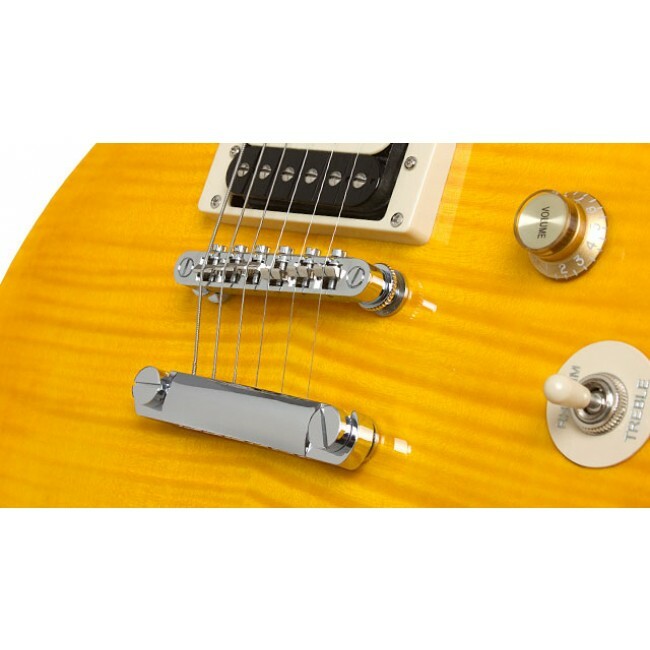 The truss rod cover has the familiar “bell” shape with “Les Paul Special-II” in white. 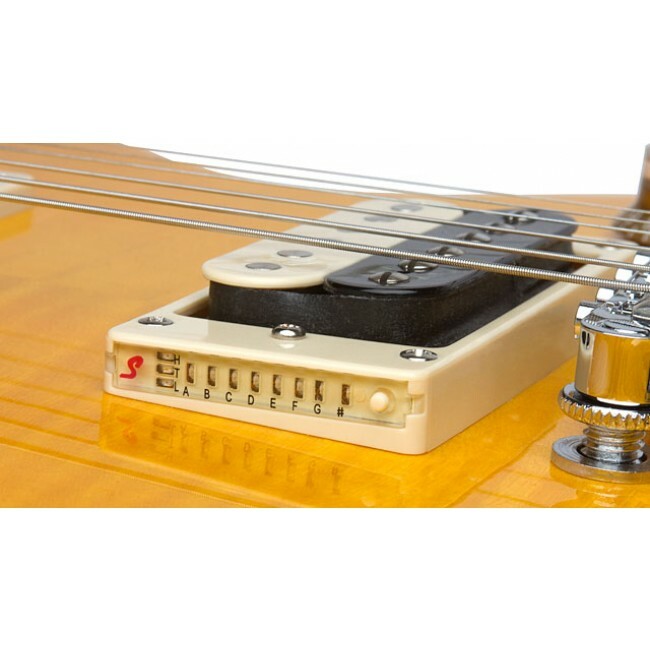 The die-cast machine heads (tuners) have a 14:1 ratio for quick and easy spot-on tuning. The roar of Slash’s “AFD” Les Paul Special II comes from Epiphone’s new Ceramic Plus™ Zebra Coil humbucker pickups modeled after the famous (and ultra rare) zebra (black and white) pickups found on late 50’s Les Paul Standards, the most sought after vintage guitar on the market. The humbuckers are powered by Volume, Tone, and Toggle controls with Gold TopHat knobs with metal inserts. But unlike vintage models, the Slash “AFD” Les Paul also comes with a built-in Shadow® E-Tuner built into the bridge pickup mounting ring. The tuner is powered by one #2032 Lithium long-lasting battery, easily accessed from a compartment on the back of the guitar. 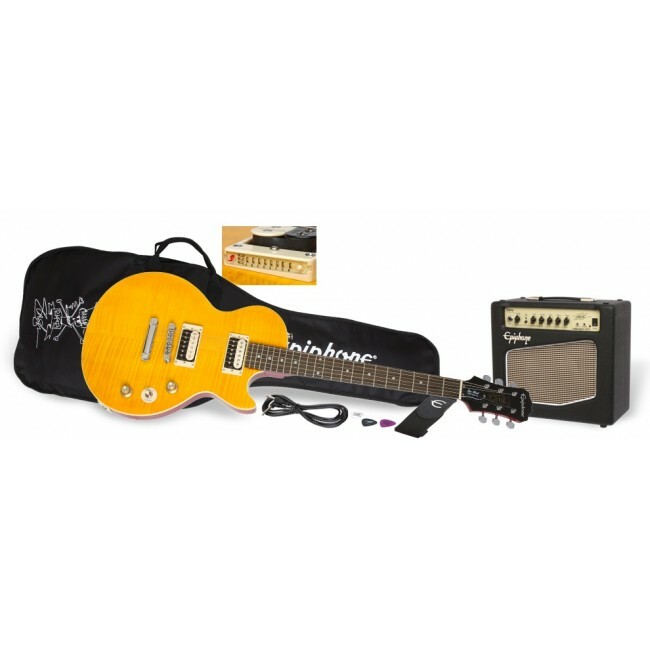 The Slash “AFD” Les Paul Special II features Epiphone’s premium all-metal hardware including a legendary Tune-o-Matic™ bridge and Stopbar™ tailpiece and strap buttons. 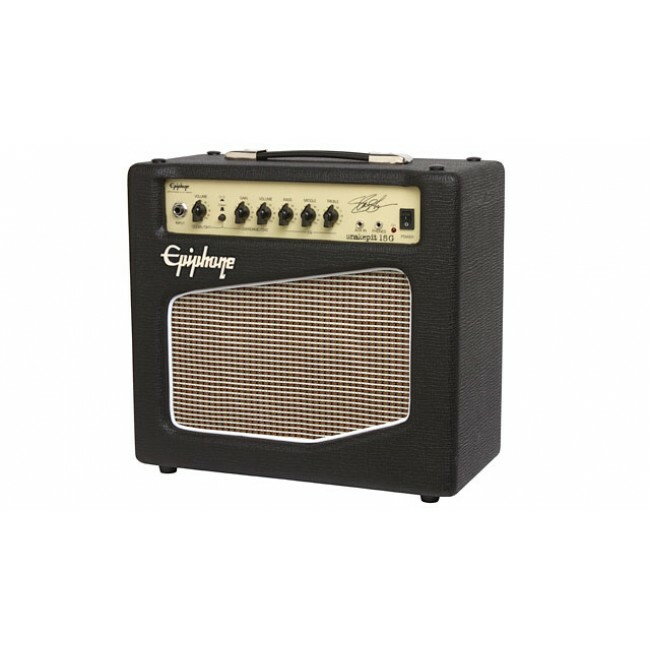 Ask any pro guitarist what’s the best sounding amp to use in the studio and the answer will be a small low-watt amp for its focused, razor sharp tone. 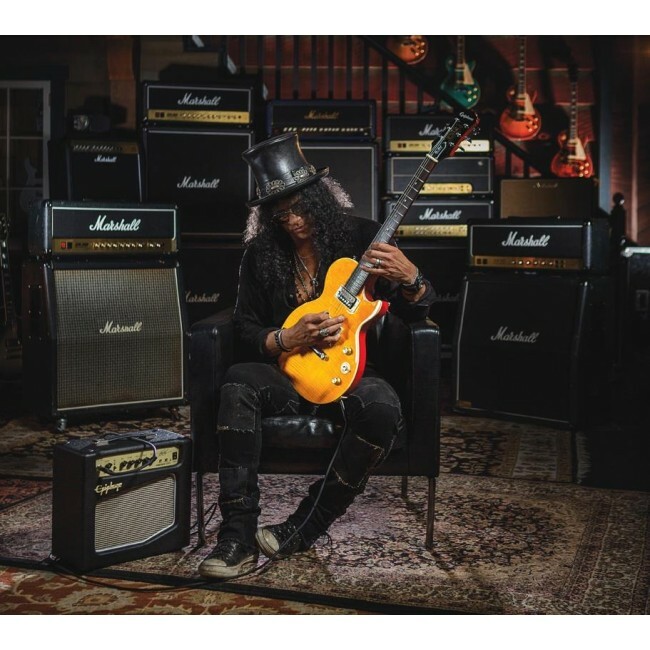 Slash’s custom designed “Snakepit-15” 15 watt amp features an 8” Electar G8 Classic-25 4-ohm speaker in an open-back cabinet that delivers terrific midrange crunch as well as clean chimey tones thanks to its two uniquely voiced Channels. Both Channel 1 (Volume and Overdrive) and Channel 2 (Clean) are easily accessible via the Channel Selector Button. The Snakepit-15 also comes with a full EQ section featuring controls for Treble, Middle, and Bass, an auxillery input, and a headphone output jack. 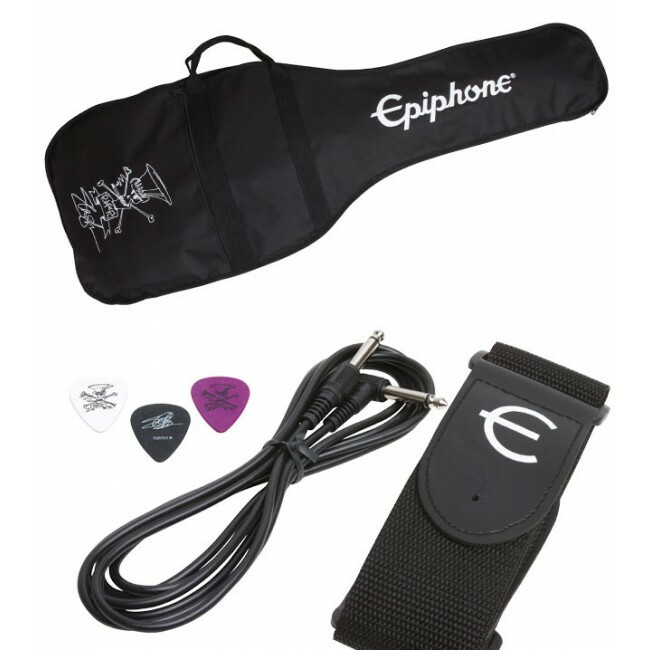 The Slash “AFD” Performance Pack also includes a premium gigbag with Slash’s “Snakepit” logo in white, 3 Dunlop® Tortex™ Slash signature picks in three colors (white, black and purple), guitar strap, an Epiphone ¼” standard guitar cable, and for new players, free online lessons from eMedia.